The wide-ranging package outlines marketing, corporate responsibility (CR) and profile building options while supporting Gay, Lesbian, Bisexual & Transgender (LGBT) and queer artists. The festival organisers are keen to attract businesses and have included support packages from sponsoring individual artist, online as well as print merchandising advertising opportunities and major sponsorship benefits. GFEST 2010 was supported by Arts Council England & The Mayor of London. 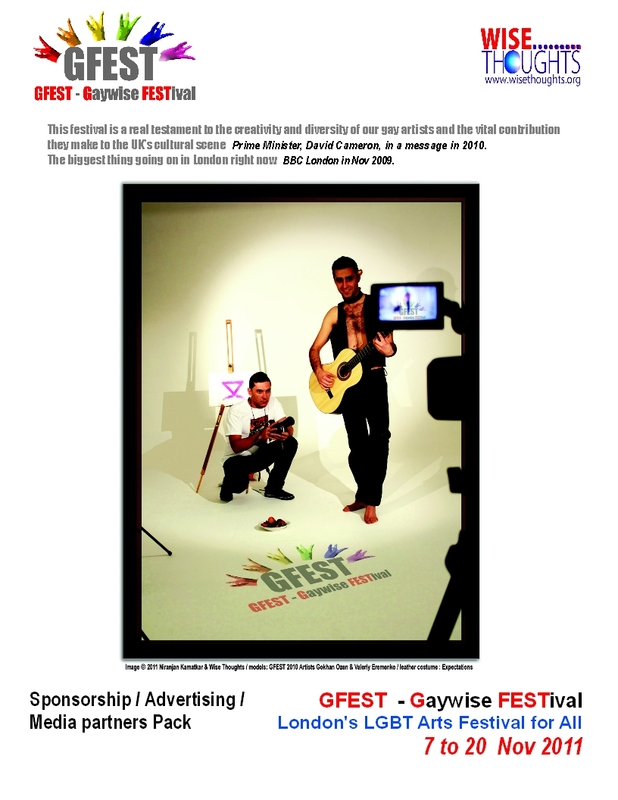 GFEST 2011 dates are 7 to 20 Nov 2011 and the festival will take place in various venues across London. Deadline to receive performances, films and visual arts entries : 27 June 2011.